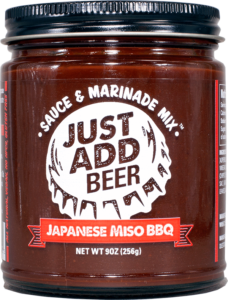 Just Add Beer Sauce & Marinade Mix™ – Create New Mouth Adventures. chicken stir-fry or dip for chicken tenders. For a NEW MOUTH ADVENTURE, try with Stouts, Porters or IPAs. 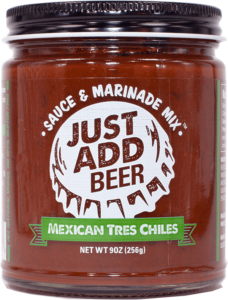 for burgers, dip for eggs or marinade for shrimp tacos. For a NEW MOUTH ADVENTURE, try with Goses, Pilsner or Lagers. a marinade for pork or a dip for asparagus. For a NEW MOUTH ADVENTURE, try with Ambers, Wheats or Sours. mouth-watering dips, sauces and marinades. no high-fructose corn syrup and gluten-free options. is great on meats, seafood, veggies and event tofu. snacks for the big game or epic backyard BBQs. 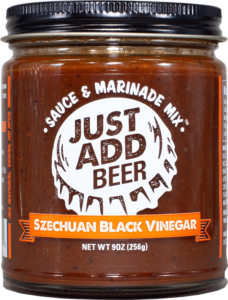 JUST ADD BEER TO CREATE NEW MOUTH ADVENTURES.